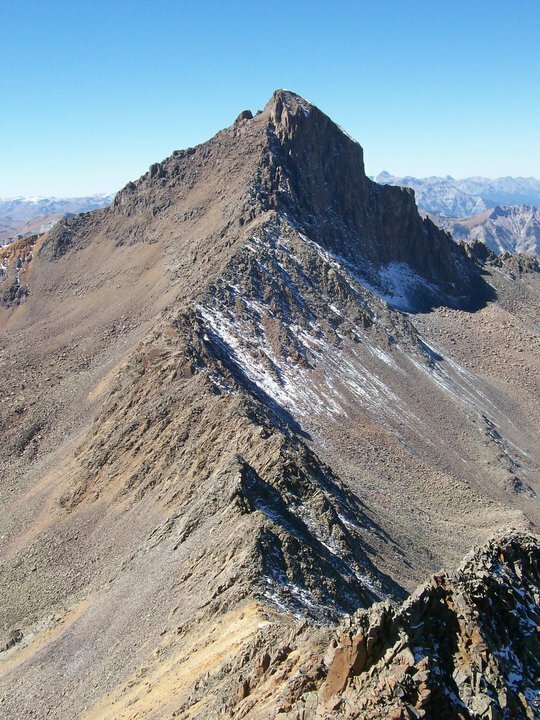 For many years, I had this thing for a Colorado mountain called Wetterhorn Peak. I saw pictures of it. Heard about people climbing it. And then I saw it. Five years ago, while hiking Uncompahgre Peak, I finally laid eyes on this beauty. That’s when a low-grade obsession began — not all-consuming (that would be weird), but frequently on my mind. A few months ago, I finally got to climb it. What usually happens after a climb a peak is something like still feeling a great appreciation for it, but the allure it had previously fades a bit. That didn’t happen this time. Every time I see a picture of Wetterhorn, or relive that late spring ascent, I still find myself in a bit of awe. Not because of the difficulty of the climb (it’s not an extremely tough ascent), but more from its beauty. Four ridges rise to its 14,015 summit. From the north, it’s rise is nearly shear. The south features a dramatic and signature sweep. Its east and west ridges are steep and rugged. Pictures tell the tale better. Here is Wetterhorn as seen from the summit of nearby Matterhorn Peak. Wetterhorn Peak as seen from Matterhorn Peak. My friend Kay hiked in from the north and snapped this amazing photo. Wetterhorn wears the snow pretty well. Late spring snow conditions on Wetterhorn’s east face. And like a true beauty, she holds up well in a close-up. The Wetterhorn summit, with the Prow to the left. And if you’re fortunate enough to reach Wetterhorn’s summit, the views from the top are incredible. Amazing views to the north from Wetterhorn Peak’s summit. Climber and BASE jumper/wingsuit flier Steph Davis writes a blog she titles “High Infatuation.” Though I think that term has a different meaning for her than for me, I can definitely relate to the sentiment. Especially when it comes to this mountain. She hasn’t lost her luster. You know how wild a place is going to be based on how difficult it is to get to. While not a foolproof axiom, it generally holds up. And that describes Chicago Basin, Colorado, very well. You can either hike in from some 20 miles out or hop a train and get dropped off in the middle of nowhere to start your journey to this slice of alpine heaven. It’s a lot different than most of Colorado. 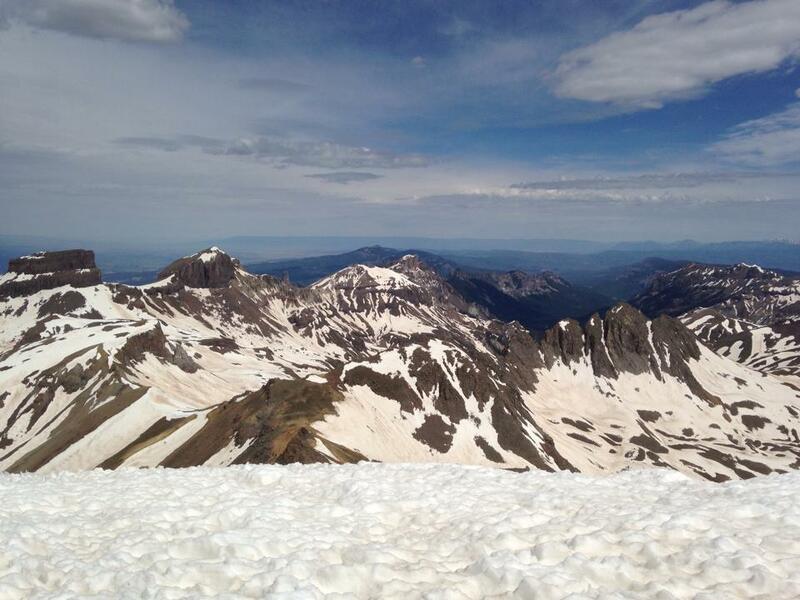 The state is pretty dry by nature, but the San Juans tend to accumulate more rain and snow than neighboring ranges. And compared to the rest of the San Juans, Chicago Basin gets even more. The end result is a place so lush, so green, that is practically drips with foliage. 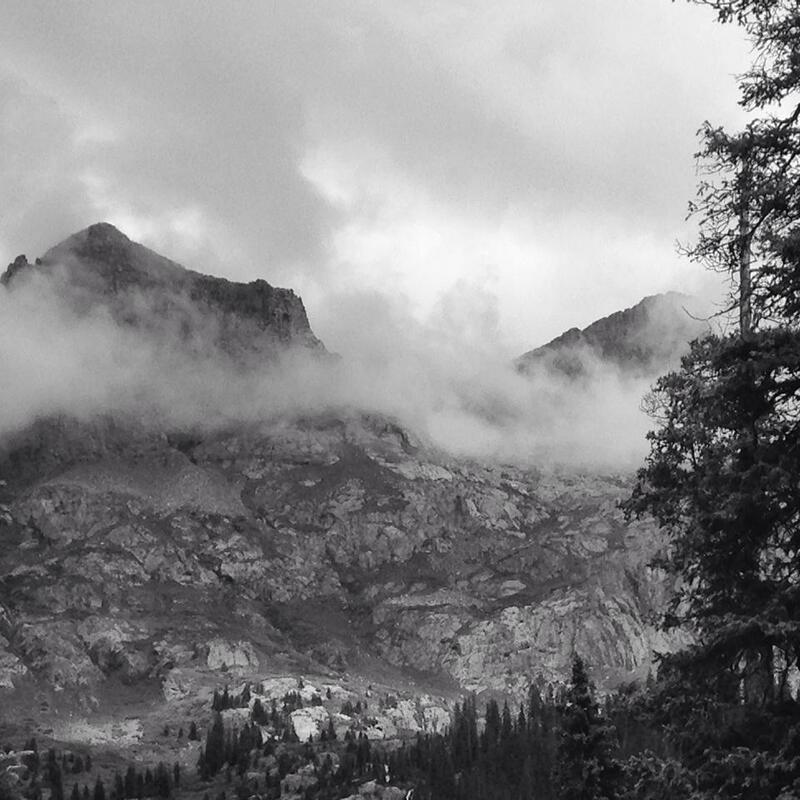 At times, the clouds and mists obscure the real rock stars of the basin – its peaks. But invariably, these beauties refuse to remain veiled for very long. Four summits towering more than 14,000 feet crown the upper reaches of the basin and even more 13,000-foot peaks join the show. Like the wilderness itself, all these mountains are wild. No gentle, grassy slopes for these crags. Instead, you’re greeted by sheer cliffs, tall spires and rocky ramparts that create an imposing – and inspiring – skyline. In some ways, it’s too bad you can see these scenes from the road. But like a lot of things in life, with great effort comes great rewards. You’re going to have to do more than take a long drive to see Chicago Basin. But if you’re willing and don’t mind the toil, you’re going to see real wilderness on its terms, and in its full glory. 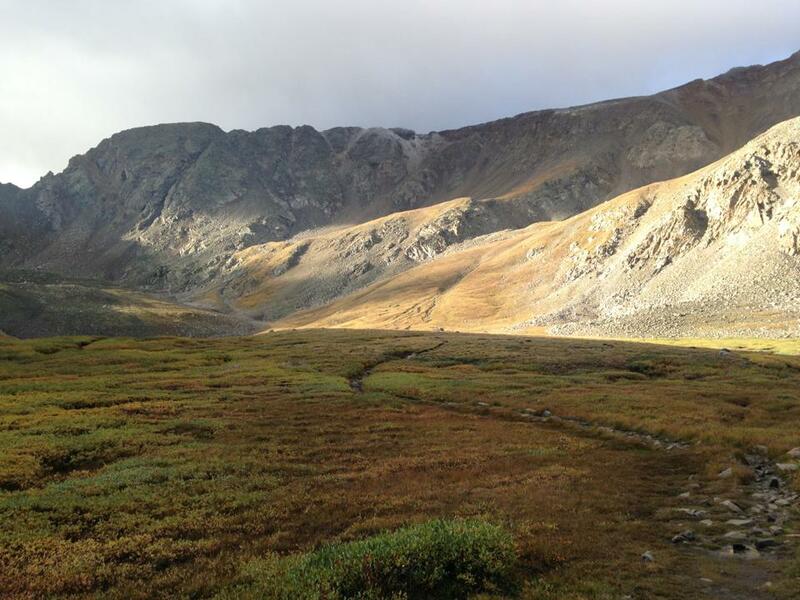 When I first laid eyes on Colorado’s Missouri Gulch Basin more than ten years ago, it was after a grueling, albeit short, hike with an overly loaded pack on my back. Ten other people were with me, most of whom were also laden with burdens a bit too heavy for their own good. Lightning and rain pounded down on us from the skies. When we finally made camp and the skies cleared, we were treated to one of the sweetest alpine amphitheaters I’ve ever seen. A high ridge flanked the west while Mount Belford stood tall to the east. To the north, the rugged and lofty wall that is Missouri Mountain. The basin itself was covered in green, willows down low and alpine grasses and flowers higher up. I knew that some point I’d come back to this amazing place. Ten years later, I was back. My pack was considerably lighter. And this time, I was alone. I can’t overemphasize how taxing the hike up is. Or how beautiful. The geological structure of the basin carries even the smallest sounds, which can be both magical and haunting: the pika’s high-pitched chirp, for example, versus the urgent call of the raven. Either way, sound carries much further and more clearly than it ought. If I go back again, I’ll make sure I’m in better shape. If I do, I’m sure I’ll walk out of those woods with new and amazing impressions to go along with the memories I already have. 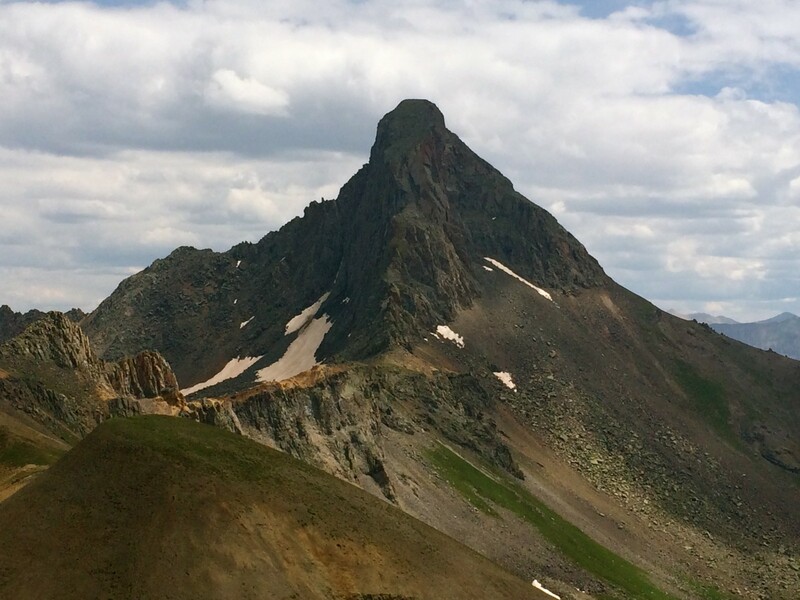 Yankee Boy Basin as seen from Mt. 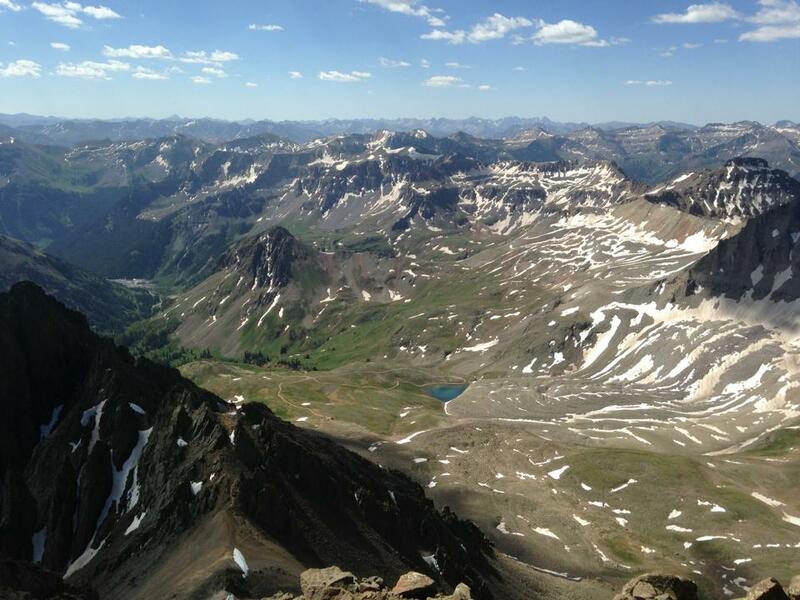 Sneffels’ summit. 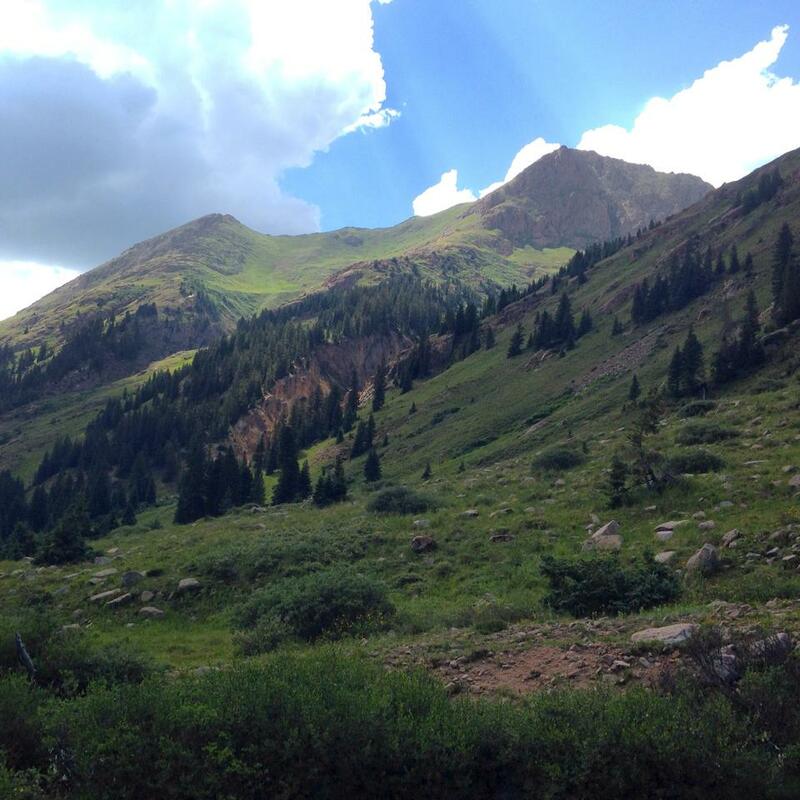 Tucked away in the folds of the western reaches of the San Juan Mountain Range, Yankee Boy Basin spreads out before you as a peaceful high country plain guarded by some of the fiercest ramparts in all the Rockies. In late spring and early summer, there is just enough snow on the peaks to offer a bright contrast to the rugged browns and grays of the cliffs above. That same snow feeds the basin with life-giving water, which has helped the meadows below sprout with green grasses and bright flowers. We’re still too high to see much of the forests below, but this place above timberline is very much alive. As beautiful as the meadows are, the surrounding mountains that are the stars of the show. 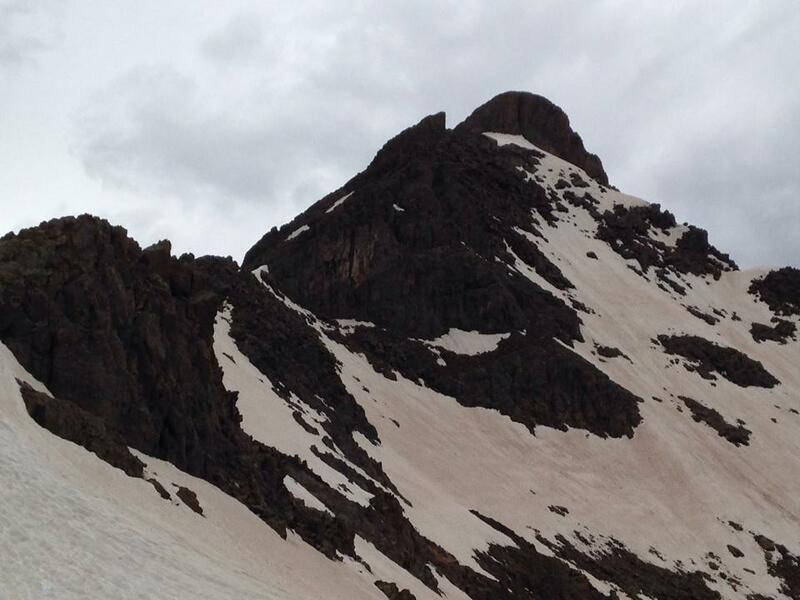 The monarch of this realm is Mount Sneffels, a huge peak with a massive gash down its center. Its flanks are jagged ridges, adorned with stone towers that make them appear as the spine of a huge, ageless dragon. 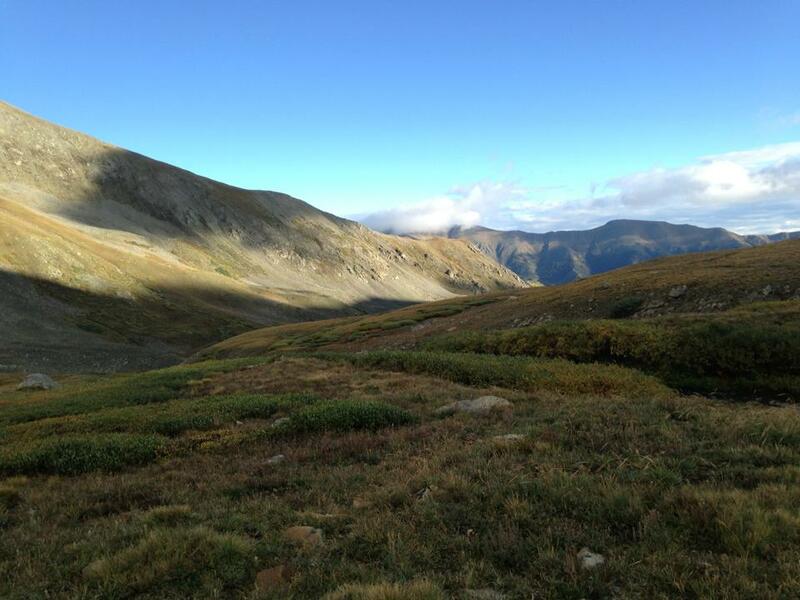 But most striking is the Dallas Divide. This high, sheer wall of rock is anchored by Gilpin Peak on one end and Dallas Peak on the other. 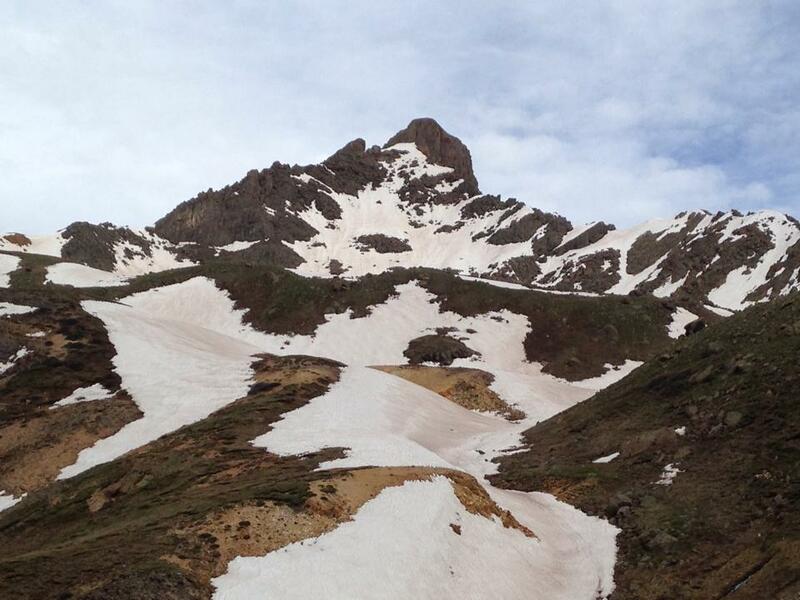 Between them, a steep, high ridge clothed in rock and snow, so imposing that just getting to the town on the other side – Telluride – forces you into a lengthy drive around the range, not over. But unlike manmade fortresses that inevitably fall, this stronghold – carved over time by ancient geological and glacial forces – remains strong. Eons go by, and all is still peaceful in this little alpine realm. Think of the greatest city park you’ve been to in your life. All the things that make it great, fun and healthy. Then wrap your mind around this: It’s not as good as a certain city park in Colorado Springs. Sorry, but it’s probably not even close. All the designs of man cannot hold a candle to the contours created by the ancient geological forces that pushed Pikes Pike heavenwards. Welcome to Garden of the Gods. 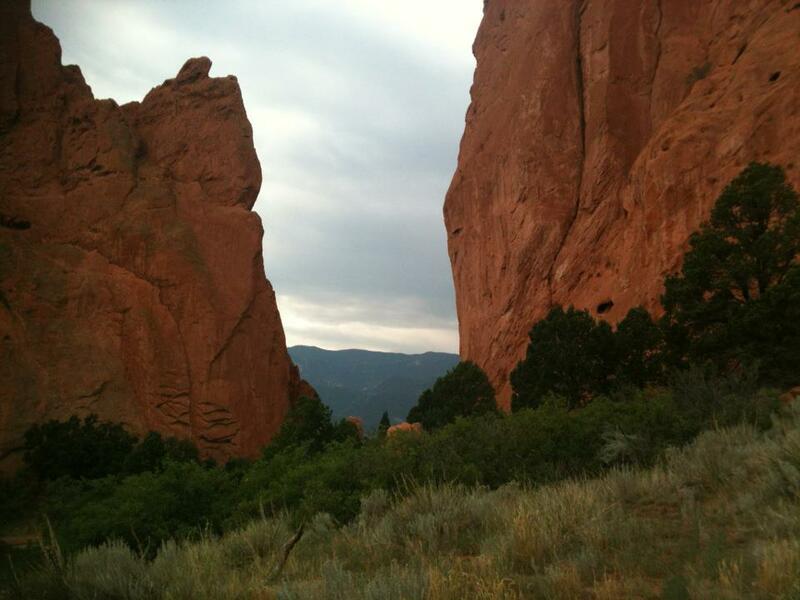 Garden of the Gods is, by definition, a public park owned by the city of Colorado Springs. A lot of people drive through it. Many more walk around or hike its paths. But the park is best seen and enjoyed with a much more vigorous exploration. The city has taken time to preserve the park’s amazing natural features, but also has included 15 miles of trails for hikers, trail runners, cyclists and horseback riders. And let’s not forget about the climbing. The massive walls, towers and needles that shoot up with nearly unfathomable verticality seem radically out of place here. Such formations – rusty sandstone, pale limestone and a slew of other sedimentary rock – appears as they were plucked out of some desert wasteland in Arizona and plopped down in the semi-arid pine forests of Colorado’s east slope. They practically beg climbers to explore them. Such formations beg the question: How did they get here? And this is where the history lesson comes in. These vertical formations were once buried deep under the soil as horizontal plates of compressed soils from primordial times when the high plains of eastern Colorado were under water. But the massive forces that thrust Pikes Peak to more than 14,000 feet also unlocked the high plains’ geological secrets, breaking up those old sea beds and pushing them into the air. Wind, rain and time further carved them into the dramatic formations we see today. And these gifts of time and geological movement blessed the park with some of the best climbing routes any single city could ever hope to possess. From near-ground bouldering problems to multi-pitch walls, visitors can challenge their skills without ever leaving the city limits. Climbing. Running. Cycling. Hiking. Horseback riding. All within a single city park. That’s why Garden of the Gods is better than any park in your city and likely any other park where you’ve ever been. Some of the most rewarding places to go are often the most difficult to reach. But like anything, that which is worth having often is gained through effort. That pretty much sums up my feelings of an amazing stretch of river deep inside a western Colorado canyon. 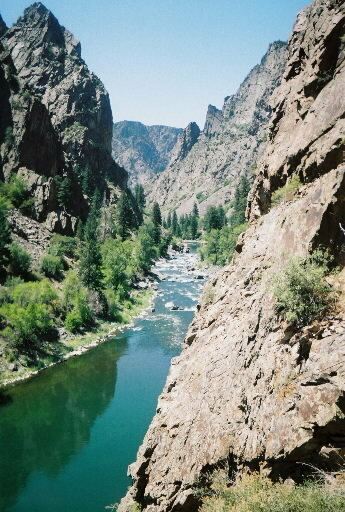 The Gunnison River is well known among trout anglers for its prime fishing. The best of those waters lie deep within the Black Canyon. The Gunnison weaves and cuts its way through 48 miles of blackened rock on the western side of the Continental Divide. The canyon is anywhere from 1,800 to 2,800 feet deep, making it one of the deepest chasms in the United States. What sort of power does it take to slice open eons-old rock into such a large gash? Melt water from the high country’s snow, combined with gravity, do the trick. The Gunnison River loses more elevation in those 48 miles than does the Mississippi River along its entire 1,500-mile length. This creates a beautiful panorama. Deep inside the canyon, its stony walls rise sheer. Buttresses jut out from the walls, giving the river twists and turns that churn its fast-flowing waters. Occasionally, the canyon will toss a boulder down, further complicating the river’s path. It makes for a pretty wild run. It’s that wildness that also makes it prime trout habitat. Cold, fast-moving waters flowing over rocks churn it up significantly, raising oxygen levels. Fast-moving stretches mixed in with eddies and pools gather food for trout like a banquet table. Few rivers are more perfect. But getting to the best fishing spot takes some doing. The easy-to-reach stretches are usually played out. But a short hike down the bank, one river crossing (and yes, even in summer it’s quite cold) and a brief, somewhat exposed climb over a rock rib took me to a seldom-reached stretch of trout paradise. The reward wasn’t just in the fishing, though it was indeed very good. But to be able to sit down, filter a little water and listen to the river while thinking about life, God or many other things on my mind – that was a rare treat. If you’ve ever wondered why fly fishing evokes such poetic, even artsy, musings from its practitioners, this is a big part of it. The ambiance of an ancient canyon, and the fast-flowing waters that sliced it open, does much to exercise the mind.